We use the reach and wash system to clean windows up to 5 storeys high! 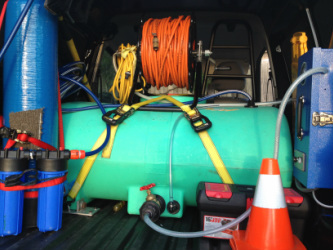 The 'reach and wash' system uses 100% purified water and super-light carbon fibre telescopic poles. The pure water is pumped up the pole and onto the window, whilst the window is scrubbed with a soft bristle brush. The brush loosens dirt and grime and the pure water acts like a magnet drawing dirt off the window. Then, we simply rinse off the window with the 100% pure water leaving it to dry totally spot free! 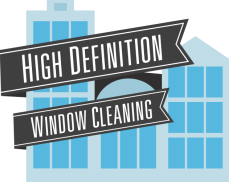 If you work in an office in the Hobart area and would like your windows cleaned contact us to see if your windows can be reached with the reach and wash system.